Gonzaga’s stunning loss as the nation’s No. 1 team to Saint Mary’s in the WCC final didn’t cost it a No. 1 seed for March Madness. Now the Bulldogs hope to make the Final Four for the second time in three seasons. But it won’t be easy. Michigan, the runner-up from last year, highlights the leading challengers. Gonzaga will be going into the tournament with people’s doubts renewed thanks to a double-digit loss to Saint Mary’s in the WCC title game. The Bulldogs have the country’s most efficient offense, something that could be tested in multiple matchups throughout. Before a possible showdown with defensive juggernauts Michigan and Texas Tech, Gonzaga might get No. 4 Florida State — the Seminoles upset Gonzaga in the Sweet 16 last year. The two best KenPom defenses by efficiency could be the toughest outs for Gonzaga’s ridiculous offense. But if the bracket holds, they’ll meet in the Sweet 16. Michigan’s defense is ranked No. 2 in adjusted efficiency. Texas Tech is first. The Red Raiders have only six losses and had won nine in a row heading into the Big 12 tournament. Then it crashed out to a West Virginia team that was 13-19 at the time. That might have slowed the outside optimism. If you like high-scoring stars, you’ll love this. Marquette’s Markus Howard ranks sixth in the country at 25 points per game; Murray State’s Ja Morant is eighth at 24.6. In a perfect world, this game will be close late and we’ll see these two battle it out with big shot after big shot. Did you expect anyone else? Morant is known for his ridiculous dunks and NBA potential for a Murray State team that could make a surprising run. Morant leads the nation in assists (at 10 per game, that’s at least 2.3 more than anyone else). He’s also averaging almost 25 points per game in his quest to be the first player to average 20 and 10 in a season. Morant and Murray State might outscore Marquette, but a true Cinderella run by Buffalo is more than possible. A MAC school getting a six seed is a big deal, as it’s the conference’s highest since Toledo got a No. 5 in 1979. Yet at 31-3, the Bulls have a record and good balance that reflects team that could make a push toward the Final Four. Seventeen years ago, Kent State went 30-6 and reached the Elite Eight. Could Buffalo do the same? Syracuse, if it can beat Baylor, could be a tough foe for Gonzaga in the Second Round — that zone can be mighty scary. 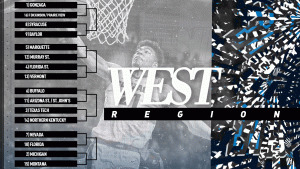 But Gonzaga might also benefit from what could be an upset-filled region. Double-digit seeds Florida, Murray State and Vermont could all surprise (let alone the Arizona State-St. John’s First Four winner), especially the Racers. Plus, the Bulldogs would have to beat only Michigan or Texas Tech, and that’s if either even makes it to the Elite Eight. Here’s thinking Gonzaga regroups from the WCC collapse.